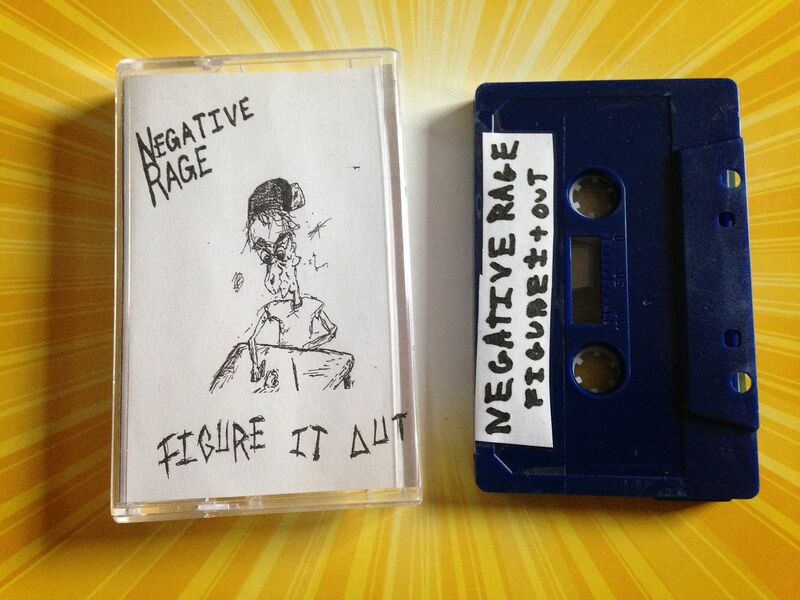 Raised by Gypsies ::: Cassette Review: Negative Rage "Figure It Out"
Cassette Review: Negative Rage "Figure It Out"
I can't really find out a whole lot about Negative Rage aside from their Discogs site, but I have found three other cassettes by them in the Sorry State Records catalog. I didn't buy all four cassettes right off though because my theory was what if they were all bad because I really did kind of order these as a shot in the dark that they'd be good. 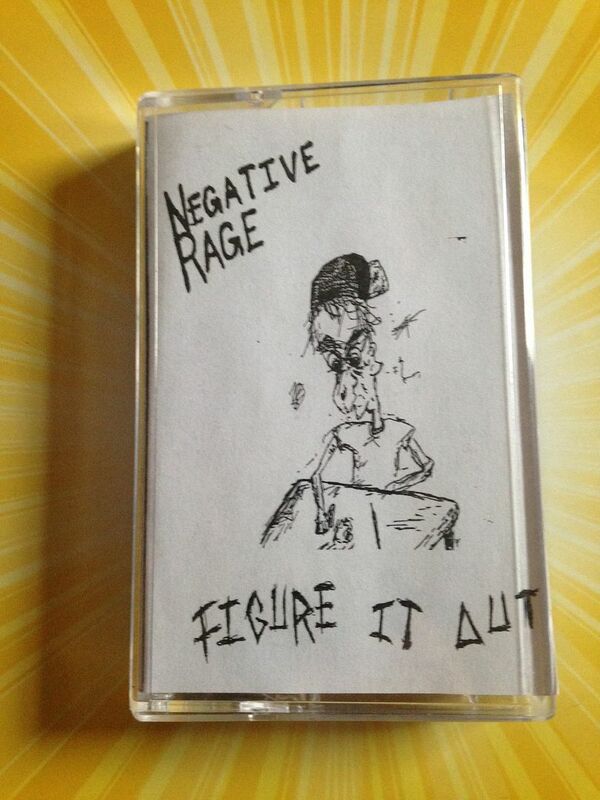 (That and one of them is sold out) Plus, for only a dollar if this cassette was bad I'd either give it away, record over it or simply leave it in a box somewhere with all my duplicates. 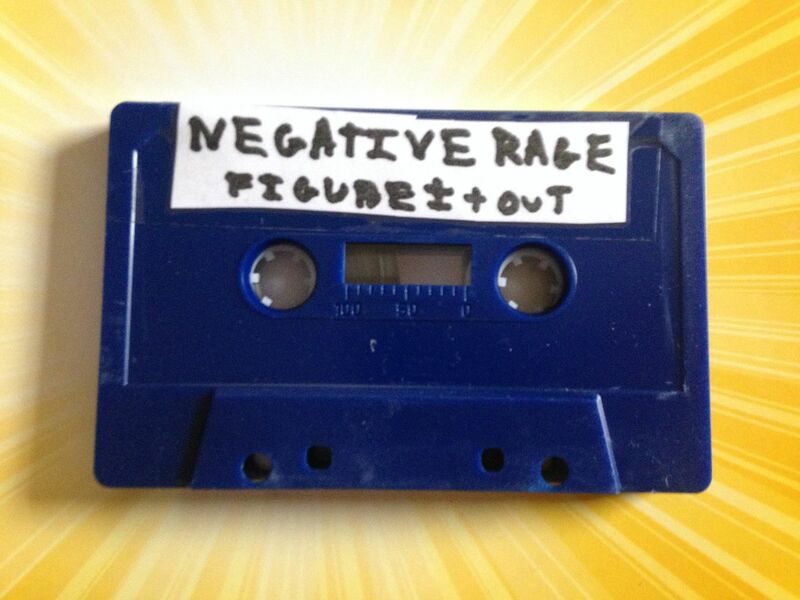 Luckily for me (and for you, as a fan of music and cassettes) this cassette is really good. 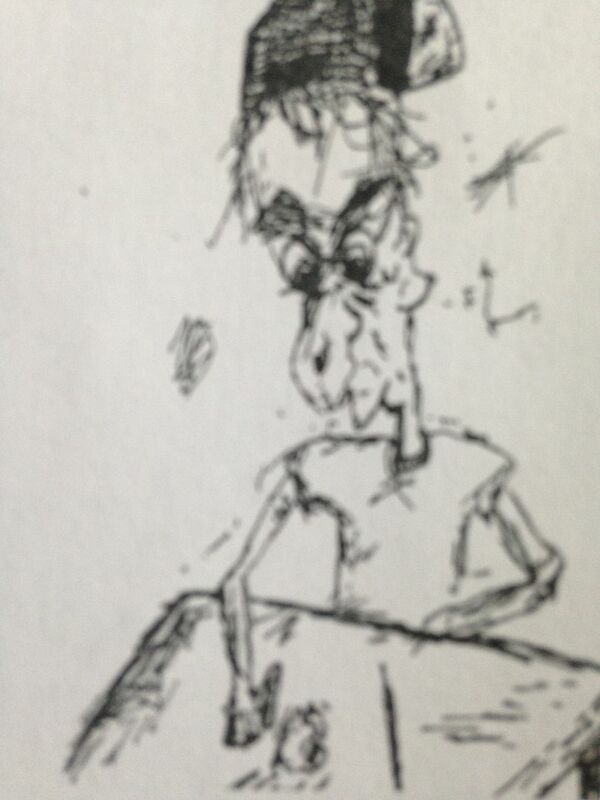 There is this raw, distorted punk style that is somewhere between Primus and Jimmie's Chicken Shack. If you told me that this was an experimental punk band fronted by Ian McKinney I would be inclined to believe you and that might be one of the highest compliments I can pay this music. And for as much as it seems to stick to some sort of punk idea it has this rather long drum solo at one point which is just great. 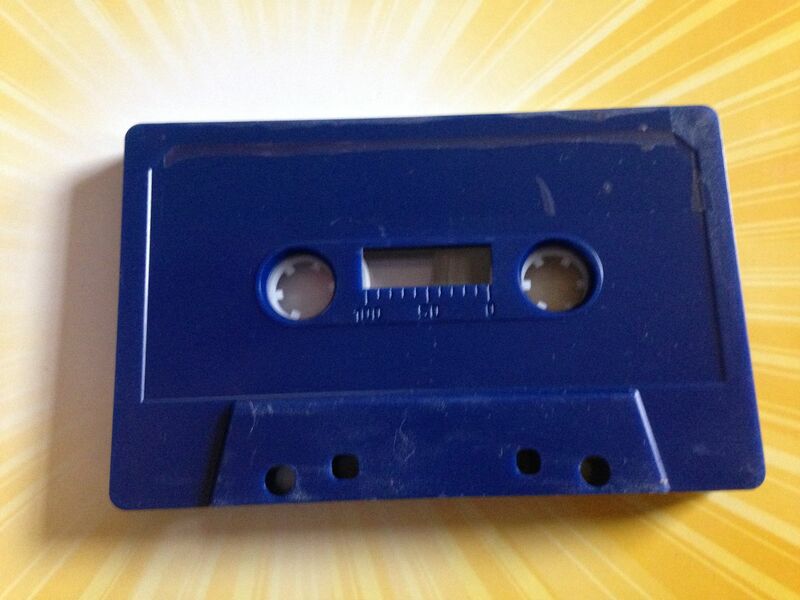 It really shows you that when you begin to think you have this cassette figured out it goes and changes the rules on you. 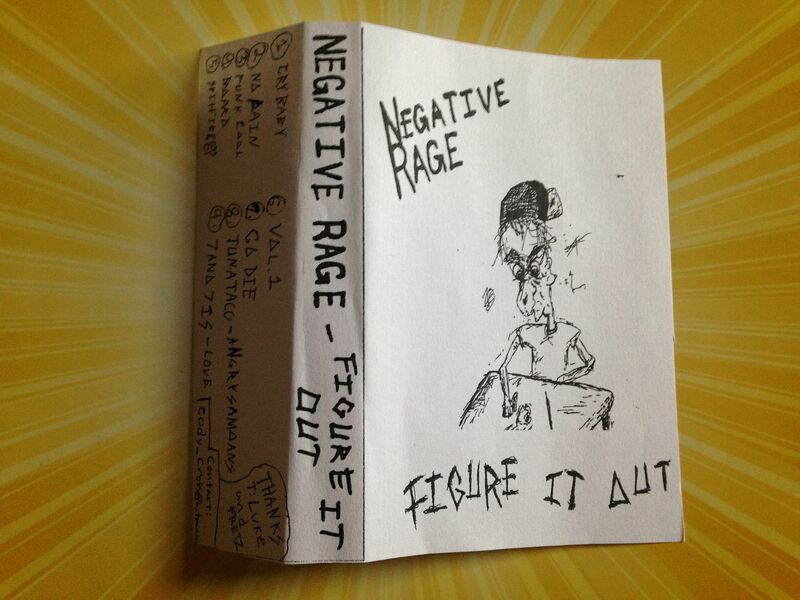 As per the Discogs site Negative Rage is still a band in 2015 and so I look forward to new music by them and will soon be purchasing (and likely reviewing) the two other cassettes available by them from Sorry State Records. This is one of those bands that I feel like you need to know about because one day, maybe twenty years from now, someone will be releasing a box set of all of their releases as some sort of special edition deal and meanwhile you can say you have the originals still.